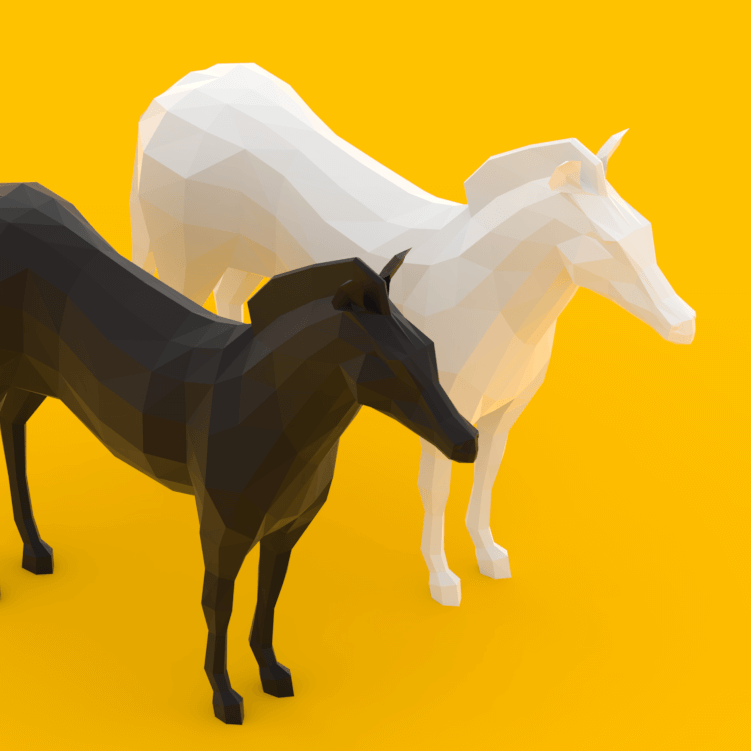 The Base Mesh: A quad face based with 538 faces. 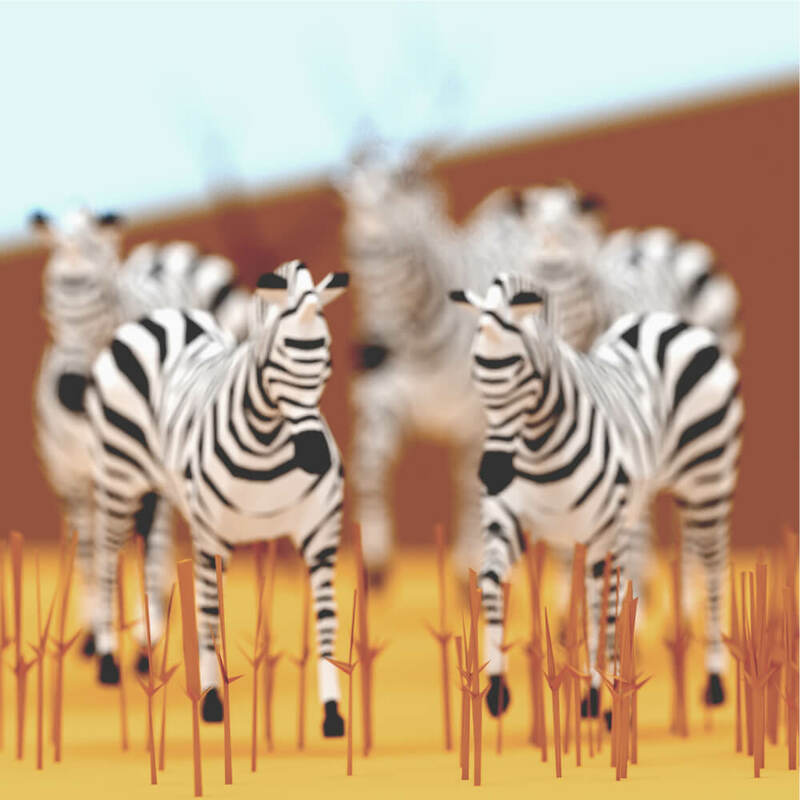 The Sketchfab Scene: A ready to render (Blender) scene with 15,069 faces. 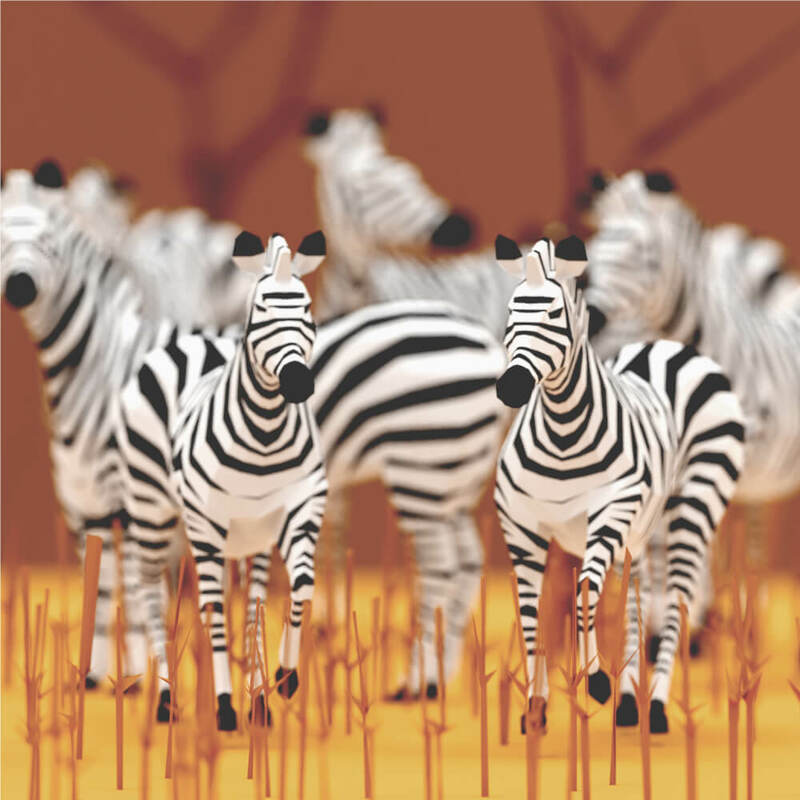 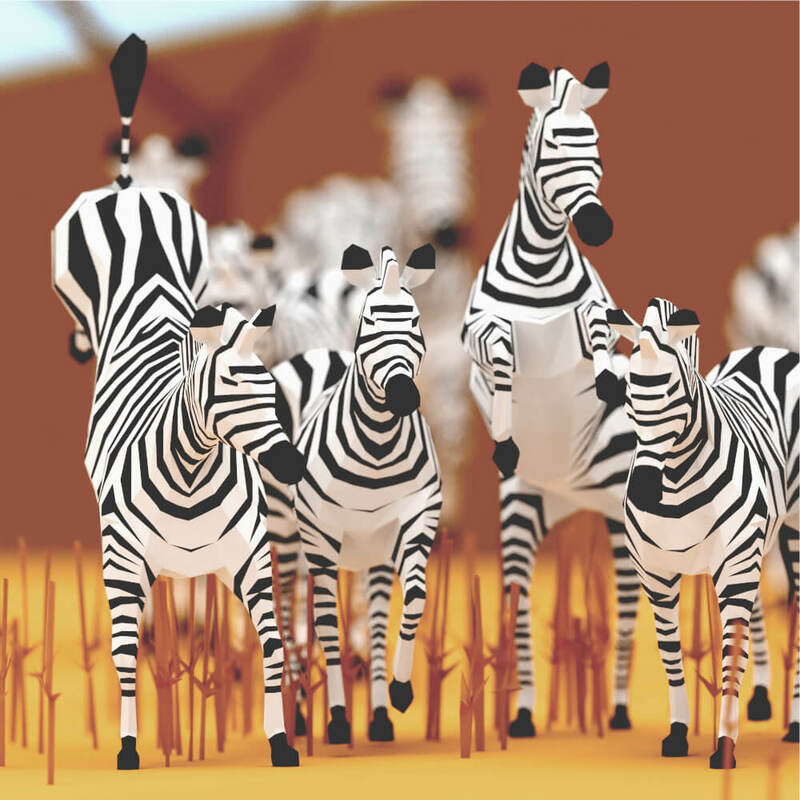 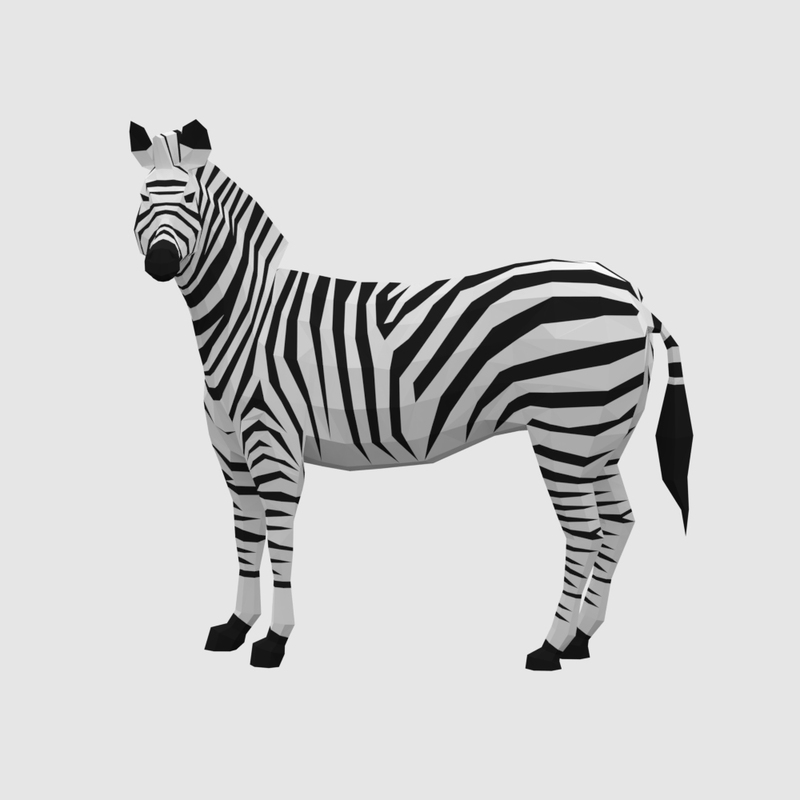 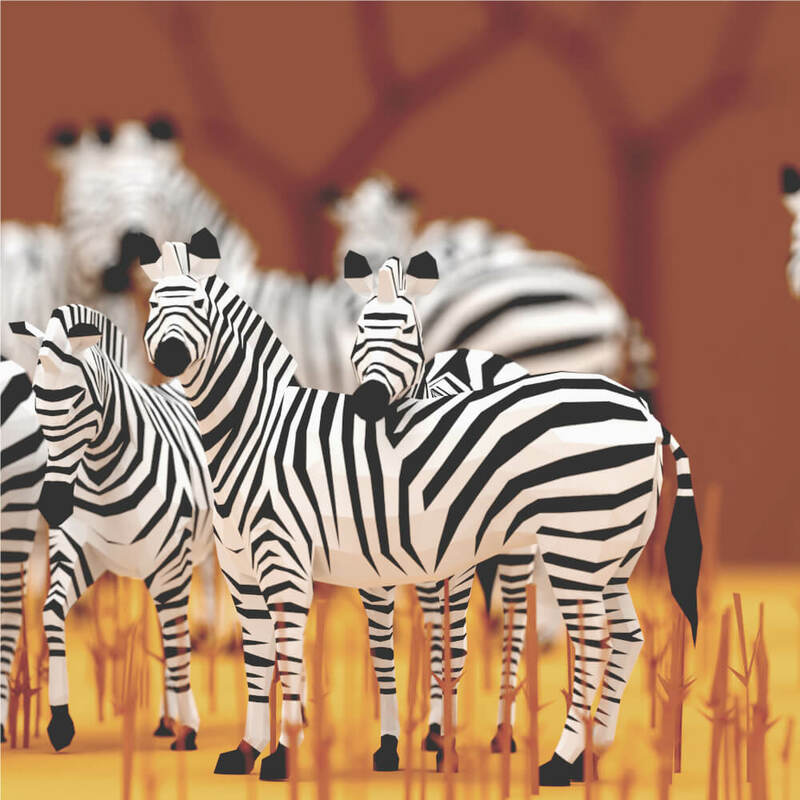 The Pack: A pack of zebras with 1,818 faces each.